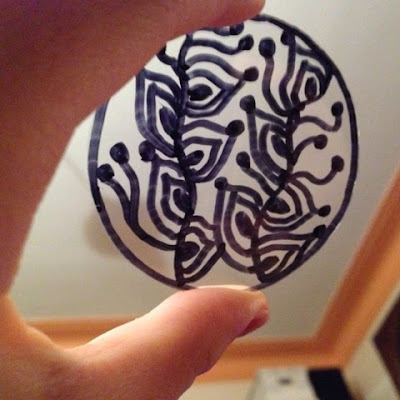 The Diva challenge #206 this week is to use some new tools and material to create a zentangle. As I am not an artist, and don't have much other material to zentangle than my tiles and my fineliners not an easy challenge. Although... I do have some black paper, and some thick silver felt pens which I bought for Christmas but did not use. What if I use these now ? 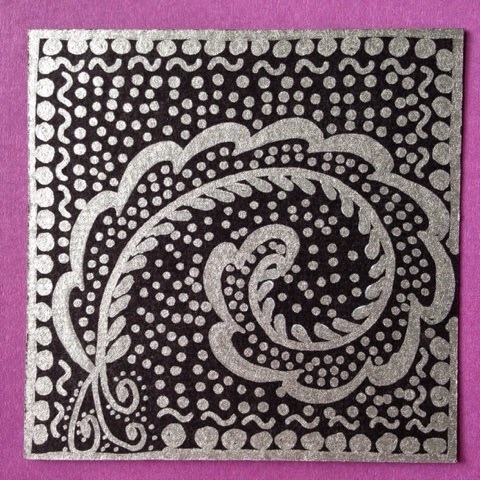 Here is the result with two silver pens of 1mm and af 2mm and the pattern Fricle. Quite different though to create a tile with these pens ! Fun to see both your work and your daughters! Nice stuff! Wow, I love thise earrings!!!,!! Silver pen on black is so pretty! And I LOVE the idea of using zentangles to make earrings. I would buy that first pair if I saw it in a shop! Really nice tile. I love the thick and thin lines and the broken frame line. 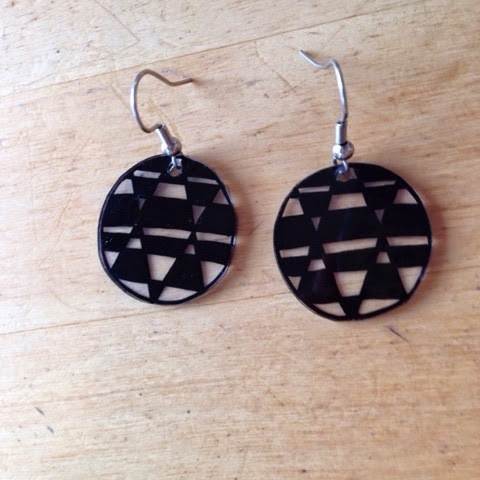 Great earrings too. What a talented family! The silver pen on black is very pretty. 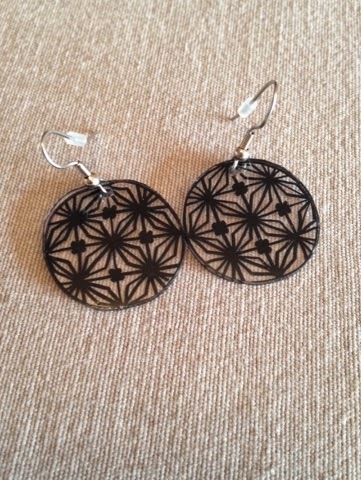 The earrings are great! Lovely metalic! And oh, I've got to try the shrink art! Cool!